I agree with Ephron’s words, but that’s not the kind of explosion that I want to write about today. Maybe I’ll write about that particular explosion another time. In this post, I plan to keep true to the explosion analogy for life changes and losses. Writing about one particular explosion in my life will help me explain the resultant broken pieces and why I write best with them. On June 12, 2010, a Saturday, my father died. It was unexpected. He had undergone cardiac bypass surgery and the surgery had gone well. The doctor told us so. After the surgery was over, I got to see my father while he was in recovery. I remember I kissed him on the forehead. He was still out of it. I left the hospital and went home. The next day I didn’t go see my father until late in the day. I remember I got to the hospital in time to see him before visiting hours were over. The reassurances of the doctor post surgery had given me a sense of peace that daddy was going to be well. A doctor at the office where I worked reassured me that the surgery would bring a good result. He shared how his own elderly father felt like a new person after his bypass, how he had started traveling and walking and hiking because he had so much energy. I expected my father to reap the same benefits after surgery, but he didn’t. His death is the explosion I experienced in my life in 2010. Of course, I grieved just like anyone does when they lose someone they love so much. I felt all the things that one feels when experiencing grief and loss. Anger, pain, fear, vulnerability, confusion. I cried daily for a very, very long time. In the beginning, I cried several times a day. Michael, Geoff, and Alicia were wonderful about comforting me. I received all the hugs, kisses, and comforting words I needed then and now. I went back to work immediately after. I really believed that getting back to work would help me heal faster. I started drinking a lot more during those first years after daddy died. Wine. Red wine in the convenient economy size just for me (quantity was more important than quality). I didn’t share. I even started a wine tasting/selling business that I made Michael help me with. I have always hated speaking in public so I made him do the presentations and I poured wine and handed out tidbits. I thought the extra business coupled with my primary job (I was working at the Rack as a technical writer by this time) would keep me crazy busy with little spare time. I didn’t want any spare time that could allow me to think or feel. We did a few wine tastings but I didn’t make any money at it. In fact, I lost money. I spent too much on the food pairings. The wine company suggested buying a box of crackers, a simple block of affordable cheddar, and a small bag of fun size chocolates. I know good food though, so I shopped at the HEB at Lincoln Heights and bought plenty of the sea salt baguettes, strawberries, good cheese (smoked gouda, brie, Jarlsberg, Gjetost, and camembert) and expensive chocolates. The other expense that killed my business was the shipping costs for the wine orders. I let go of the wine tasting business after a while. It took time for me to realize that I used the business venture not only to keep myself frenetically busy but also to justify my need to have plenty of wine on hand all the time. The 2010 explosion caused me to fear further loss. I was afraid I’d lose Michael. I remember holding onto our hugs extra long and pleading with him to “please never ever leave me.” He would reassure me that he loved me and wasn’t going anywhere. I needed that reassurance very often after daddy died. Sometimes I still do, but I’m getting better about it. I went through some even crazier behaviors that I won’t detail here because I’m saving them for my book. Suffice it to say that the crazier behaviors were not illegal or immoral. Some people found my actions intrusive and that embarrasses me now. Some friends have wondered why I’ve distanced myself from them in the past years. I admit I am rather a hermit. I even left my job to work at home recently. I am not social. My only company these days are my husband and kids. I did not do any meaningful writing for eight years after daddy died. I did some journaling for a while and that was helpful. I received the gift of a smart, intuitive, and wise life coach who worked with me for a few months in 2011. She encouraged me to journal and I did. However, I dropped it after a while. I tried to write a science fiction story last year but dropped it, after which I entertained thoughts that maybe I wasn’t meant to be a writer after all. Enter Life In My Pockets. I bought the domain in 2015, set up the blog on WordPress, and then just left it there for a long while. I wrote two or three blog posts in 2016, one in early 2017. I felt ridiculous for thinking I could keep myself disciplined enough to be a real blogger. I believed I was too broken to write anymore. In a metaphorical sense, I believed something broke my writing mojo. It was the explosion that did it. I chalked it up to Que sera, sera, and didn’t even try to write for the majority of 2018. In November, however, I felt ready to leave my job and work from home. I wrote a very short blog post about a little banter between Michael and me. I also wrote posts about my early married years in Jacksonville and the murder of that little girl that touched me so much, Tammy Welch. I left my job the first week in December and found something to do at home. Being at home now for the past two months has been healing. I’m spending a lot of time working on my Python skills. I set a goal to get a Python developer job later this year. I also have started writing regularly. Not just blog posts, but personal journaling like my life coach taught me back in 2011. While cleaning up my hard drive on my Mac, I opened up some long-dormant files and read old stuff I had written. I like what I found and want to finish some of those pieces. The writing I’ve done recently has helped me untangle some emotions and understand the crazy behaviors I have felt so uncomfortable about. I am starting to see now where it all was coming from. I’ve spent the last few days thinking about the past eight-plus years and how profoundly the loss of my father continues to affect me. I still am not able to visit his grave at Fort Sam Houston National Cemetary. Just thinking about it makes my chest feel very heavy. I’m not done healing from my grief, and I thought I should be done by now. I was giving myself a deadline and there can never really be one. I have now let myself off the hook. I shared my thoughts and feelings with Michael yesterday. He has never, ever judged me for being clingy or needy or insecure during the hardest moments of grief. He is supportive and comforts me whenever I am sad. I shared with him the clarity I’m experiencing about myself. Talking to him about it made it even more clear, and I dove deep into past actions and emotions because I see myself differently now. I am getting softer about myself. I can never be the woman I was before my father died. Instead, I am the woman who is surviving the loss of one parent the best way I know how. To riff on Nora Ephron’s words, I am not better, necessarily; I am not worse, necessarily. I’m different. The explosion left me with broken pieces that I am using to write and heal and create. In fact, I think I’m writing better and more freely than I have in a long time because of the broken pieces. Tammy Welch was found laying in the grass near her family’s apartment. I remember the news rippling through the apartment complex where Michael and I lived. It was the Yorktown apartments on 103rd street. Our unit, a one-bedroom, was at the rear of the complex and faced a huge lot covered in tall weeds. When Michael was at sea and I had to take the trash to the dumpster, I always felt creeped out because the dumpster was at the edge of that creepy lot. If I remember correctly, that day had been hectic for Tammy Welch’s mom because it was the day that the movers had arrived to pack up their belongings and move them to their new home at NAS Cecil Field, the base nearby where my hubby and Tammy’s dad’s squadron, VS-28, was located. Tammy and her sister had been playing outside as the movers were working. Her sister had run inside to their apartment and Tammy had stayed alone by the swings. As soon as I found out that Tammy had been found dead in our apartment complex, I panicked and called my mom. She cried and was scared with me and worried for me. Mom had wanted me to move my stuff into storage and come home when Mike left for his cruise in October 1984, but I wanted the experience of living on my own. I enjoyed my new grown-up freedom. After hearing of Tammy’s tragedy, I learned that grown-up freedom has its down side. After that, I made sure to keep my doors and windows locked. It was so hard when Michael had to leave me and go to sea. In those first three years of our marriage, he was gone a lot, both on short work-ups and months-long cruises. I cried a lot when we said goodbye. It was hard going home to an empty apartment. I found a good friend in a fellow Navy wife. Her name was Lori and her husband was on the same ship as Mike. She had two little boys and I loved spending time at her apartment. Her little boys were fun to be around, and Lori and I hit it off really well. We spent a lot of time together and got to know each other really well. Our friendship would usually taper off some when our husbands were home. During our time in Jacksonville, I only met one Navy wife who had no kids. Because I didn’t have kids, I didn’t fit in as well with the other Navy wives. They had their kids to keep them busy while their husbands were gone. The cruises were tough on the sailors and the sailors’ families. Oftentimes kids acted out, spouses cheated, marriages broke up, and deaths would occur during cruises. I heard about it all when I attended Navy wives club meetings. Yes, the organization was a gossip mill, but it was also the only way for Navy families to keep up with ship information. We had no cell phones, internet, or email back then. Letters were the main means of communication for Michael and me, and they sometimes took forever to arrive. Weeks could go by where neither of us received a letter, and then one day we’d get a nice sized stack. Those were great days. I got very good at keeping myself busy when I was alone. If I wasn’t spending time with Lori and her boys, I worked as a teller at a credit union, went to the movies, went to bookstores, the mall, the beach, watched movies on cable, and read books. I bought myself a used manual typewriter and I wrote a lot with it. The club on base was a favorite hangout for some Navy wives, but I have never been the club type, plus I was raised that good wives don’t do things like that. I was a homebody back then and I’m still a homebody. Tammy’s murder had made me cautious and wary, so I now find it ironic that I let Gary , a stranger, fix the spark plugs in my car, and that I accepted his gift of two plastic kitchen funnels. I got to know Gary very well. He had a Betamax and that was really cool at the time. He would invite me over to his apartment for awesome spaghetti and meat sauce and he always had good movies to watch on his Betamax. He became a good friend. I would write to Michael almost every day, and I would share with him about my evenings at Gary’s and the movies we watched and the food he would cook, as well as the other things I did every day. I shared my visits to Gary with Lori too, and Lori shared it in her letters to her husband Tony. Tony made it clear in his letters to his wife that she was never to go with me over to Gary’s apartment. Apparently Tony saw my visits to Gary’s as something suspicious and immoral, and he told Mike that he shouldn’t “let me” go over to Gary’s. Mike paid no attention. He never once even intimated to me, in letters or in person, that he didn’t trust me. He never doubted my fidelity or my love for him. I never gave him any reason to doubt me. When Mike came home from his cruise, Gary became his friend as well. As soon as we got to Jacksonville, I immediately needed to see the beach. On the map, Jacksonville looks like it is right on the beach. Not true. Jacksonville Beach was about a 45-minute drive from our apartment on 103rd street. When Mike was home, we quickly established our fun spots. In order of preference, they were 1) St. Augustine, 2) Little Talbot Island, 3) Jacksonville Beach, 4) Daytona Beach. We visited these places a lot. We also had fun in Miami and, of course, at Disney World. In my memory, we spent a lot of those first three years of marriage at these spots having as much fun as possible until it was time for Mike to go to sea again. Where we loved to bbq, swim, and fish — inJacksonville, Florida. I loved going to Jacksonville Beach. I remember that my upstairs neighbor, Shannon, thought it really weird that I would pack up the Nova with a cooler bag full of sodas, sandwiches, and tanning lotion and drive off to the beach alone. She hated the beach so I never invited her. I didn’t think going to the beach alone was crazy at all. I would spend time in the water and time on the beach tanning and reading a book. I never felt threatened or bothered by anyone. I would get to the beach by about 11 a.m., and would leave for home at around 4 p.m. I probably had a really good tan but I don’t remember it. My sister Sandy came to spend two summers with me while we lived in Jacksonville, I did all of the same things with her that I did when I was alone, the movies, the mall, the beach, St. Augustine, etc. It was always more fun when Sandy was with me and I was always sad when she left. We had a blast. During this time alone in 1984-85, I also taught myself to crochet. I mean it became a serious lifelong passion. My Grandma Nina had taught me to make a chain and do a single crochet. Without her to guide me, I learned the rest from a book I bought at Woolworth’s. I cooked a lot for Michael and me. I only knew how to cook for five people, so we had a lot of food. I loved cooking for my husband and was always thinking of new things to make. It was back then that I developed the habit of showing my love for important people in my life by feeding them rich food. I baked a lot too. This is me in early December 1984. It was taken at a Navy Wives Club Christmas party. I was 19. We took lots of pics and made a video to send to our husbands at sea. It was my first Christmas as a married lady and I missed my sailor lots. Mike was away on a Mediterranean cruise on the USS Independence from October 1984 through February 1985. I had celebrated the holidays with my family in San Antonio, but in my heart I was saving up my holiday spirit for when my husband came home. I bought an artificial Christmas tree at a clearance sale in early January, took it home and decorated it. I left it up for Michael to see. I bought a turkey and kept it in the freezer. The day before Mike was due to arrive home, I made fresh cranberry sauce with mandarin oranges, walnuts, and cinnamon , as well as stuffing for the turkey, and put it in the fridge. I woke up early on the day of Mike’s arrival, stuffed the turkey and put it in the oven. I had never cooked a turkey before, but I followed the directions on the package. The turkey was beautiful and delicious. My husband was impressed. Gary had given me a recipe for the stuffing, and I still follow that recipe today. Gary got his best recipes from a fundraising cookbook he bought in Louisiana. His Italian meat sauce, barbecue sauce, and stuffing were great. I still have those recipes. I remember that I timed my cooking perfectly because everything was ready when I left to pick Michael up at NAS Cecil Field. His homecomings after cruises were always joyous, and I always cooked a feast for his return. After that first cruise, four months had seemed an eternity to me, and I was so happy he was home. Hubby: No one said it wouldn’t work. Me: I saw the doubt in your eyes. Hubby: I’m the one with the stars in my eyes. Me: And I put them there. Where in the World Is My State of Grace? The act of writing causes me turmoil. When I sit down to write it takes me three hours to part the emotional overgrowth of years to find my state of grace. It took many years for the emotional overgrowth to occur and I work very hard to clear it. I’m Catholic and I contemplate the meaning of the word grace every day. There is a state of grace that I didn’t learn about in Catholic school. I prepared to write this by researching the word grace. I thought it necessary to learn about all the different kinds of grace that exist in the realm of faith and belief and humanity. I couldn’t find a definition of grace that satisfied me because the grace that I experience is different. It involves my ability to take the creative flow within me and use it to put words and ideas down on a page. This is a grace that I feared I had lost. Sometimes I still think I have lost it. I remember that in high school I wrote every single day. Every thought and word and deed in my life at that time ended up on paper, white paper ruled in blue with three holes punched on the left side so that I could place it in a notebook. I had more notebooks full of my writing than I had makeup, clothes, shoes, or jewelry. At the moment, I am frustrated by trying to type on my Macbook Pro while wearing a large, heavy watch on my left wrist. This is a metaphor for my struggle to write for the last few months. Ideas, thoughts, and words don’t flow as easily as they used to. That’s why I have moments of fear that I have lost my ability to write. I fear that I abandoned the daily act of writing for so long that my source of grace took flight and went on a search for someone who better deserves it than me. My God, but that idea scares me. I have considered myself a writer since I was a child. When I was in the third grade it all made sense to me. I was eight years old when I discovered two miraculous things. The first was that I could think of ideas that energized me. The second was that when I combined my ideas with the letters of the alphabet I could make the words that are breath and life to me. I wrote my first story in the third grade. I told my parents my homework was to write a story about pain, and so I wrote a story about a woman who was badly beaten by her husband. When I finished writing it, I gave it to my parents to read. They didn’t like my story at all. My father told me that I should write nice stories, not painful ones. I said nothing in reply, but I had a secret. I had lied to my parents. The teacher did not give me any homework. I made up a fake assignment so that I would have a legitimate excuse to shock the hell out of my parents. I succeeded. The story about the husband beating his wife was severe. I described the physical beating using vivid words. I described the pain that the wife experienced as well as the rage that the husband felt. I described his fists meeting the skin of her face and body. I remember my words to this day. The story was much too traumatic for my parents. They did not like what I had written about or the way I had written it. My father told me not to write things like that anymore. I didn’t listen to him. I was proud of my story, and I was pleased with their disturbed reaction. My words had evoked a powerful response from my parents. It scared them and I was glad. As my parents walked out of my bedroom, I heard my mother say “She’s a very good writer.” It was the first time I knew that writing gives me power and grace. I wrote more and more as the years passed, but I didn’t share my writing with my parents again for a very long time. Much later in 2008, I maintained a blog and I wrote about my experience with bulimia from the age of 12 through 18. I wrote that I saved my own life by asking to see a therapist and by writing down my feelings every day. My parents responded to my blog entry with hurt and anger. It was a part of their life that they did not want to remember. My writing made them relive the pain of seeing their daughter suffer. Once again my writing came to blows with their emotions. I took down that blog post and I felt horrible that I had hurt my parents. I don’t think I’ve forgiven myself yet. I am not eight years old anymore. I have no need to shock and hurt people with my words, but I do need to explore my memories and feelings through my writing. I stopped writing personal essays and didn’t take it up again until last year. I don’t write to cause others pain. I write to heal my own. This is my state of grace. I can never seem to find the exact quote or the source of the quote. Internet searches yield variations on the theme. Regardless of who said it or how it was said, this sentence applied to me in 1984. I was a fool and a child. After the murder of Tammy Welch, I became nervous. I went about my daily routine, but there was a sharp edge to my life that I had not felt before. I had gotten a job as a teller at a credit union, and work was my biggest distractor. I went to work, came home, and ate take-out mostly. I watched tv, visited with friends, or went to the movies. It had become too cold and windy to go to the beach. I had settled into a routine. However, there was one glitch. Every morning I had trouble starting my car. It became a regular thing and I had to allow extra time every morning to get the green Chevy Nova going. I didn’t like my job or my manager, but I was glad to have the distraction from my inner thoughts. For eight hours a day, I focused on the credit union members, keeping my till balanced, and tried to steer clear of my very mean manager, Darlene. My introspective nature often made me unaware of my physical surroundings and the people around me. I was an expert at tuning out and turning inward. Loneliness made me more introspective. Tammy’s murder had made me more aware of the sinister aspects of the world around me, but this only made me want to retreat from the world. One weekend I noticed that a new tenant was moving into one of the apartments above mine. I saw the moving truck and a strange vehicle in the parking lot, but I did not see my new neighbor until the day he knocked on my door. When I opened the door, there stood Gary. He was a 32-year-old man from Tennessee. He was in the Navy. He had reddish hair and a mustache and was polite and friendly when he asked if I had a kitchen funnel he could borrow. He said he had made a batch of barbecue sauce and he needed a funnel to pour the sauce into bottles for storing in his fridge. I told Gary that I didn’t own a funnel. He thanked me and left. I looked out the window and watched him walk to his car and drive off. A week later Gary came to my door on a Saturday. “I couldn’t help but notice that you’ve been having trouble starting your car in the morning. It sounds like your spark plugs need cleaning. I can clean them for you if you’d like.” I took him up on his offer. I grabbed my keys and went outside to open up the car. Gary lifted the car’s hood and set to work checking and cleaning the spark plugs. I left him to his work and went back into my apartment. When he was done with the job, he knocked on my door and said, “I’m all done. You shouldn’t have any trouble starting your car anymore.” I thanked him and closed the door. It never once crossed my mind to be wary of him. I didn’t think it odd at all that he’d fixed my car with only my sincerest thanks for his payment. I just thought he was a nice neighbor. Work had become a problem for me. I had grown tired of having to protect myself from Darlene’s constant scrutiny. As an inexperienced teller, my learning curve was a stressful one. I’d worked in retail in San Antonio, and I had never cared much if my cash drawer balanced. I didn’t like retail, and now I didn’t like being a teller. I felt as though Darlene was waiting for me to make a grave error so that she could fire me. The credit union was closing on Christmas day, but I couldn’t go home to San Antonio because I was scheduled to work on Christmas Eve and the day after Christmas. My birthday was two days after Christmas, and I really wanted to spend the holidays and my birthday with my family. I took a chance and requested the entire holiday week off. Of course Darlene said no. Nancy, one of my coworkers, was a very nice lady. When she saw how disappointed I was when my time off request was denied, she immediately invited me to spend Christmas day with her family. She was so sweet. For our office Thanksgiving party, Nancy had brought in a bowl of cooked and spiced cranberries that was absolutely delicious. I asked her for the recipe and she happily gave it to me. The only kind of cranberry sauce I’d ever eaten was Ocean Spray Cranberry Jelly. It popped out and onto a dish in the shape of the can it came in. Nancy’s cranberries were freshly made. Until then, I had no clue that grocery stores sold fresh cranberries. Nancy planted a seed in my brain. I’ll write more about cranberries in another post. I did not have a thick skin n 1984. I felt raw and nervous. Rebecca, the book written by Daphne Du Maurier, is #3 on my list of favorite books. I have read it too many times to count. There is one particular passage that resonates with me because it reminds me of what it felt like to be 19, newly married, alone, and far from home. Were it my own story to tell, I’d replace the age of 21 with 19. I was very unhappy at the prospect of spending Christmas in Jacksonville. Just about all of the navy wives who made up my circle of friends were leaving town to spend Christmas with their families. Most of their destinations were close enough for them to drive the distance. I appreciated Nancy’s invitation to spend Christmas at her home, but I wanted to be in San Antonio with my family. I also wanted time away from Darlene and what I perceived as her hostility toward me, her micromanaging style, and her tense face. I reached a boiling point. It was bad enough that I had to be away from my husband. I didn’t want to spend Christmas with strangers. I decided to go home. I knew I wouldn’t have a job when I returned to Jacksonville after the holidays, but I didn’t care. I was youthfully optimistic about my job prospects. I’d find another job after the new year. I wanted to ring in the new year with my parents, my sister, my little brother, and all my aunts, uncles, and cousins. My last day of work at the credit union was December 20, 1984. I told no one of my plans not to return. I went home and packed a couple of bags and asked a friend for a ride to the Greyhound bus station. I didn’t have the money to fly home. I remember that the ride was long and tedious. A lot of the passengers were in military uniform. I was so anxious to get home that I called my mom at every stop until she told me to stop wasting money on the phone calls. I made it to San Antonio and it was so good to be home. There was one fly in the holiday ointment however. I had a guilty conscience about abandoning my job. I wanted to be rid of the guilt and kept thinking about how to close the door on my credit union job. I still had the key to my cash drawer. I felt awful about walking out on my job with the cash drawer key in my purse. It nagged at me and I needed to resolve it. I pulled an empty envelope out of the hall closet in my parents’ house. They always had a lot of envelopes. I scribbled a quick note to Darlene, letting her know that I would not be returning to my job. I slipped the cash drawer key into the envelope, sealed it, stamped it, addressed it to Darlene in care of the credit union, and mailed it out. I felt kind of bad that the key looked like it might cut through the envelope because I hadn’t bothered to remove the key ring. I knew it might get lost in the mail. I decided not to care. I was glad to be out of a job I disliked so much, away from a manager who clearly disliked me. The key and the job were gone from my life, and I thoroughly enjoyed the holidays and my birthday with my family. Mom and dad threw a New Year’s eve party and I got to hug and kiss all my aunts and uncles. I wore a silky gold blouse and a soft white skirt for the party. I felt pretty and happy. The festivities were great. The trip went well except for one thing. I missed Michael immensely. The day after my birthday, my sister came with me to the San Antonio International Airport where I bought an airplane ticket to Jacksonville. I flew out of San Antonio on New Year’s day. I hugged and kissed my family, and I cried as I boarded the plane. Back in Jacksonville, my friend and neighbor Nancy picked me up at the airport and drove me home. I let myself into my apartment, too exhausted to be nervous or afraid. I went straight to bed and slept in the following day. In the summer of 1984, I was a newly married Navy wife away from my home in Texas for the first time in my life (I didn’t count the frequent family trips to Mexico during my childhood). Away from my parents’ ever mindful care, I felt free and unencumbered by restraints of any kind. My husband, Michael, was at sea more often than he was home, and I had a car all to myself. I drove to the beach on Saturdays, alone. I drove around in the evenings and got to know the city, alone. I went to the movies, alone. And through all this, I was never, ever afraid. The August 1984 murder of young Tammy Welch was a watershed day for young 19-year-old me. Tammy and her family lived in the same apartment complex that Michael and I had just moved into. Tammy’s murder changed my view of good and evil, of youthful positivity and the loss of innocence. The day before Tammy was murdered, I believed wholeheartedly in the basic goodness of humanity enough that I slept with my bedroom window open whenever I wanted. I often forgot to lock the door of my apartment and, although I knew it was an unwise move, I wasn’t afraid of anything bad ever happening to me. Michael and I had arrived in Jacksonville, Florida in late June and during those first 60 days I had met only the nicest people and had been pleasantly surprised to find that the residents of our apartment complex were friendly, fun-loving, swim-happy people. There were many fellow Navy wives to get to know as well. 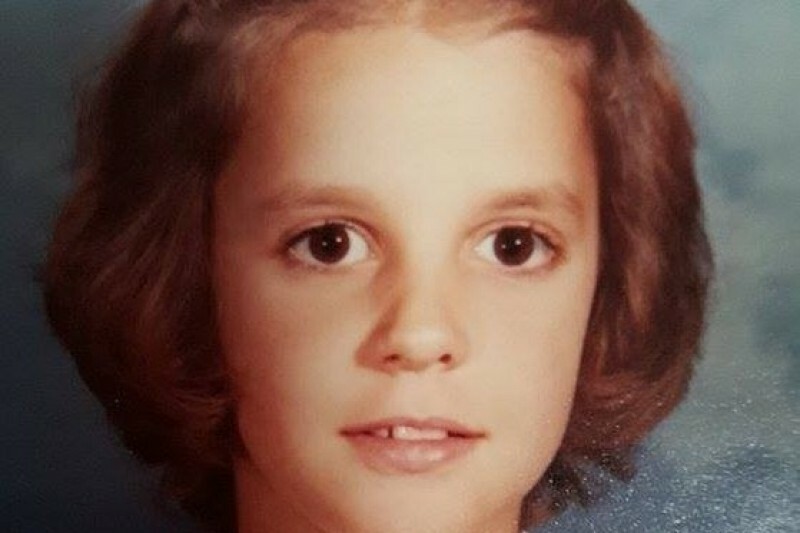 After Tammy’s murder, I learned what it felt like to be truly afraid. Suddenly, I was haunted by that large empty field covered with weeds as tall as me located just steps away from my front door. It was now a sinister and frightening thing to look at. Anybody could walk out of those weeds and make their way into my apartment. The news that Tammy’s murderer was still at large made me feel even more anxious and fearful. That killer could be in those weeds. My family and my husband were far away from me, and I felt completely alone.